Interviews can be daunting to the most experienced job seeker, and “terror-ific” for the less experienced. Preparation before the interview can make a huge difference in your confidence level. Here are some basic questions to get you thinking about the process. about in a circle, or dig yourself into a deep hole. this statement, as it will have an effect on the rest of the interview. the interviewer to know about you when you leave? Practice with your script, until you feel confident about what you want to emphasize in your statement. Your script is a way of helping you stay on track, but shouldn’t be memorized, resulting in sounding stiff and rehearsed. You should sound natural and conversational. kind of job? And, where do you go from there? chances will be of steering the interview in the right direction. the product. Why should the customer buy? take to get the job done? Make a list of those requirements. type, working style, and people skills. Completing an exercise around this question will allow you to concentrate on your unique qualities. Like snowflakes, no two people are alike. Take some time to think about what sets you apart from others. Regardless of what you are asked in an interview, preparation and practice will improve your performance and give you a better chance at competing with the other candidates. Knowing who you are and what you have to offer is vital for success! I’m sure you’ve sat through movie or TV “bloopers” at the end of shows and laughed at the mistakes the actors make during the filming of the show. If I could put together a film with bloopers that people make in interviews it might seem funny as well – but not when it happens in real life – to you! How do you avoid bloopers? First you become aware of what some of the pitfalls of interviewing are and then you prepare and practice so that it won’t happen to you. Here are 10 of those very pitfalls to watch for. It’s about demonstrating confidence – standing straight, making eye contact, and connecting with a good, firm handshake. That first impression can be a great beginning, or a quick ending to your interview. Today’s casual dress codes in the office, do not give you permission to dress as “they” do when you interview. It is important to look professional and well groomed, above all. Whether you wear a suit or something less formal depends on the company culture and the position you are seeking. If possible, call and find out what the company dress code is before the interview. From the very beginning of the interview, your interviewer is giving you information, either directly or indirectly. If you are not listening – turning up your intuitive – you are missing a major opportunity. Good communication skills include listening and letting the person know you heard what they said. Observe your interviewer and match that style and pace. Telling the interviewer more than they need to know could be a fatal mistake. When you have not prepared ahead of time you may tend to ramble, sometimes talking yourself right out of the job. Prepare for the interview by reading through the job posting; matching your skills with the requirements of the position, and relating only that information. The interview is a professional meeting to talk business. This is not about making a new friend. The level of familiarity should mimic the demeanor of the interviewer. It is important to bring energy and enthusiasm to the interview, and to ask questions, but not to over-step your place as a candidate looking for a job. It’s a given that you should use professional language during the interview. Be aware of any inappropriate slang words or references to age, race, religion, politics, or sexual preferences – these topics could get the door slammed very quickly. Attitude plays a key role in your interview success. There is a fine balance between confidence, professionalism, and modesty. Even if you’re putting on a performance to demonstrate your ability, over-doing is as bad, if not worse, as being too reserved. When an interviewer asks for an “example of a time, ” you did something, he is seeking a sample of your past behavior. If you fail to relate a “specific” example, you not only don’t answer the question, but you miss an opportunity to prove your ability and tell about your skills. When asked if they have any questions, the majority of candidates answer, “No.” Wrong answer! It is extremely important to ask questions. It demonstrates an interest in what goes on in the company. It also gives you the opportunity to find out if this is the right place for you. The best questions come from listening to what is asked during the interview, and asking for additional information. It’s a tough job market, and you need a job! But, when you interview with the “Please, please, hire me, ” approach you appear desperate and less confident. Maintain the three “C’s” during the interview: Cool, Calm, and Confident! You know you can do the job, – now, make sure the interviewer believes you can, too. Everybody makes mistakes – that’s what makes us human. We can laugh at ourselves a great deal of the time when we get tongue-tied or forget someone’s name – even our spouse’s. But in the interview you want to be as prepared and polished as possible. If you do make a mistake, consider it a human error and learn from the experience. In the meantime do your homework and get prepared. If you have been reading articles or listening to news reports about the job market, it becomes obvious that the number of people currently seeking jobs outnumbers the jobs that are now available. If you happen to be one of those job seekers, you realize that you are competing against the odds. The question is, “How can you make yourself stand out when there are so many other candidates looking at the same job?” The answer is to “focus” — focus on what makes you unique. Let’s assume that you have an outstanding resume and that you make it to the top of the stack of resumes of people to be called for an interview. You, and maybe nine or ten other equally qualified people for the position, that is. Because companies have so many candidates to choose from, they are interviewing more people so that they can select the “best.” When you are lucky enough to be invited to an interview, it is essential that you be ready to sell yourself, to let the interviewers know what makes you unique, what added value you can bring to the position–in other words, why you are the best person for the job. By doing some basic preparation, you can determine your uniqueness and where you should focus your attention. The first step in this process is to identify your five strengths. These strengths are the areas where you do very well. This may take some thought on your part. What are your strengths? Think about previous performance appraisals – what was said or written about you? What would your co-workers or ex-bosses say about you? technical job would focus on programs, languages, and platforms, etc. be viewed as transferable– you can take them with you to any job you hold. relationships, or your ability to influence others. do above and beyond what is asked, or perhaps you have a great attitude. traits rather than for lack of knowledge). When you have identified your five strengths, make a list of those strengths and some examples of when those strengths have helped you achieve results on the job. It will be essential that you can not only identify your strengths, but that you also have examples and stories of times when you demonstrated those strengths in the past. The next step is to look at the job postings and ads. In fact, look at several job postings that would be of interest to you. Your goal is to find key words and phrases. For this exercise, don’t limit yourself to geographical location. Look at jobs of interest located anywhere. When you have several postings, read each word and sentence carefully, taking notes as you do. What are they looking for? What words appear consistently in almost every posting? Now, take a piece of paper and divide it in half. On one side of the paper write, “What they are looking for, ” and on the other side, “What I have to offer.” Each time you apply for a position, it will be invaluable for you to know how you stand against what they are looking for. This exercise will help you see how close a match you are and where you should focus. Your next step is to add your uniqueness to the “What I have to offer” list. Some postings will list additional skills required, which make it easier for you to see what is important to them. An example would be, “Must have excellent communications skills, strong organizational skills, and be a willing team player.” If these words appear in most of your posting examples, then make sure that these are a part of your focus. Can you work these words and your five strengths into the interview to demonstrate your fit — and then some? Some postings will be more vague about what it takes to get the job done and will require reading between the lines to determine what other skills are necessary. In summary, by narrowing your uniqueness to these five basic points, you can guide the conversation to include this information. By focusing on five strengths, you will be prepared with examples of times when you have used these strengths. Whenever possible, give examples to show how you have “been there and done that, ” and can do it again. It will be necessary to demonstrate that you have what it takes, and then some, to be unique in this market. When you walk out of that interview room, your interviewers may not remember all five of your points; but if they remember even two of the points that make you unique, you will be ahead of the game! If you think, “it’s just an interview for a temp job — no big deal, ” that’s where you’re mistaken. Some wonderful opportunities, networking connections and careers have resulted from temporary positions. Temporary assignments today run the gamut from receptionist to CEO and beyond. And since an agency is usually the first contact with the company, much of the marketing and negotiations have been done for you. And if you believe “but the interview is set up and all I have to do is show up, ” you’re wrong again. The mind set you bring to that interview will make a big difference as to whether or not you get the job. Most employers like to conduct interviews for temporary positions, even though they are slated only for a few weeks or months of service. They are particularly concerned about people in positions of higher responsibility. The employer is interested in selecting quality people who can be trusted with company information, knowledge and secrets. — Step #1 – Do Your Research. Many companies have Web sites where you can access valuable background information to use in your interview. By finding out information about the company, like annual revenue and the organization’s mission, you will show an interest in what you will be contracted to do. Showing some enthusiasm about the position will demonstrate a positive attitude toward the assignment that you’re seeking. You don’t want to project the idea that you are there because you can’t find a job anywhere else, or are waiting for just the right job — even if that is the case. — Step #2 – Get a Job Description. A worthwhile exercise is to take a piece of paper and fold it down the middle. On one side of the fold write, “What they are looking for, ” and on the other side, write, “What I have to offer.” Look at the job description and compare the company’s needs with your experience and qualities. How do you stack up? Where are your shortcomings? Can you show how you learn quickly or bring added value to the company from the start? — Step #3 Prepare a Short Information Statement. Your statement should include some information on the type of companies and industries you have worked for, your strengths, your transferable skills and some of your personal traits. Practice saying this statement until it is natural. — Step #4 Be Prepared to Talk About Your Successes and Experiences. Even though you are not being considered for a regular position at this time, there is always the possibility that it just might work out well for both parties — and the first step to making that happen is by acing the interview. Changing careers could be one of the best decisions you make in your life. It may also be one of the more difficult things you will do. Creating a self-inventory and doing some basic preparation can make a big difference in the way you view yourself and as a result how others see you. Here are five tips to help you weave your way through your transition. When you change careers the focus will be on the “soft” skills – referred to as “transferable” or “portable” skills. These are skills you have used at any and every job or situation you have been in, including volunteer work and school. Examples of transferable skills are: communication skills, ability to work with a diversity of people, ability to plan and organize, time management, analytical problem solving, customer service skills, etc. Make a list of your transferable skills, keeping in mind that these are the skills you could use regardless of what company you worked at, or what position you are applying for. A good source of desirable transferable skills can be found in job postings. Print out several postings and highlight words that reoccur. These are “key traits” that the employer is seeking – don’t underestimate them. Each candidate is unique. What makes you unique? Once you have established what you have to offer, you will begin to see the value you can bring to the job. When you believe in yourself and the fact that you have something of value to offer, it will be easier to show confidence and to convince the employer that you can do the job. Any sales person will tell you that when you believe in your product and its reliability it is far easier to sell and influence someone to buy. 4. Listen and read between the lines. Prepare five to ten questions to ask about the company. The best questions will come from your ears. It is also important to listen to what is said as a way of formulating questions. For example, if several of the questions they asked you centered around a certain topic, for instance “databases, ” be sure to ask questions about the database and the challenges and the problems with the database. Showing an interest by asking questions demonstrates your interest in the company. 5. Prepare stories about your past experiences. When you can show examples of past successes, you will have a better chance of showing the interviewer that you have used similar skills in past jobs, even if the job duties are different. Changing careers is not easy to do in any market, but in a tight job market it will take that extra step to differentiate yourself from the next candidate. Remember, the employer has a problem – there is work to be done. It is your job to listen to what the interviewer is looking for and then to sell yourself as the solution to the problem. Letting the interviewer know you heard and understand the job will make you appear more interested in what is going on at the company, and in turn will make you appear to be a more viable choice as the best person for the job. Is “Behavioral Interviewing” a New Technique? Is “Behavioral Interviewing” a New Technique?? No, behavioral interviewing has been around since the 70’s when industrial psychologists developed a way of “accurately” predicting whether a person would succeed in a job. They concluded that if candidates were asked questions that requested examples of past behavior it would be an indicator of their future behavior. So, employers began using this interviewing technique to determine whether you were a good fit for the job. The technique is of growing interest to companies who would like to choose the “right” candidate, especially in today’s market with so many candidates for them to choose from. The types of questions that are asked using this technique are used to find out how and what you did in the past and the skill sets you used in the process – if you did it before you can do it again! The difference between a behavioral question and other questions is what the question asks for. A behavioral question will be very specific. For example when asked, “Tell me about a time when you solved a problem, ” the key words are “a time.” This answer calls for a “specific” example of a “specific” incident. When traditional questions are asked they usually include the word “if.” When “What would you do if…” questions are asked you can use your imagination to come up with an answer. For example, “What would you do if you had a problem to solve?” The word, “if, ” is the clue word that indicates the interviewer wants to hear your thought process – how you think through a problem. This question does not require a past experience example. While preparation is important for every interview, it is essential to prepare for the behavioral interview. You must have examples or stories for anything you have claimed on your resume or that you say in an interview. One example would be, if you claimed you were very organized on your resume. A natural question for the interviewer would be: “Tell me about a time when you organized a project.” It is now your task to let the interviewer know that you have had success when organizing a project or event. In other words, prove what you said you did by providing an example. Stories should be interesting and full of action. Give the interviewer something to remember about you. A savvy interviewer will be able to hear skills from the stories and judge your behavior from your past actions. The more details and skills you can work into your story, the more convincing your story will be. Preparing your stories before the interview will take the mystique out of behavioral interviewing and allow you to tell the success stories you want your interviewer to hear. Through your examples the interviewer will begin to get a clear picture of you and be able to decide whether you are the right person for the job based on your past experience and successes. Assessing Your Skills; What Makes You Different from All the Others? What Makes You Different from All the Others? Make yourself stand out from the competition. The three skills categories. Put the 3 P’s of marketing to work for you. Gina had recently been laid off after working as a marketing manager in a high tech company for the past five years. She was distracted as she walked through the aisles of the supermarket. She was thinking about ways to market herself into a new job. She stood in front of the cereal selection, overwhelmed by the number of brands to choose from — more than 100 varieties. Suddenly, it dawned on her: This must be what it’s like for hiring managers to look at all those resumes received in answer to ads and postings. How do they choose? What do they look for? How does one get selected? How can I make my product stand out? The packaging on the cereal box is certainly the start. Eye-catching colors and descriptive words will draw attention — low fat, energy boosting, added vitamins — all the things consumers are looking for. But what are employers looking for? The words you choose will be key. Using words that will interest the companies will grab their attention. The list of ingredients — the skills you have to offer — is also important. Gina couldn’t wait to get home and write down her skills and what made her unique to the position. She had a new slant to explore. Skills learned through past experience and education (knowledge-based skills). Skills you bring with you to any job (transferable or portable skills). Personal traits, the things that make you who you are. Gina divided a piece of paper into three columns and labeled them with “previous experience,” “portable skills” and “personality,” the three P’s of marketing. When she was finished, she sat back and checked the list over. She was surprised at how easily the list had come together. By dividing the skills, the task became manageable. Trying to look at everything at once is like looking at those cereal boxes. Getting words on paper is one of the most difficult steps of putting your “ingredients” list together. This is a good exercise for anyone beginning the search process, or as a periodic check or inventory. Gina can now use the list to put together her resume, write a summary statement or compose a personal statement. The skills will be the foundation of the strategy she will use to sell herself. She still has some work to do before she can take her product to market, but she certainly has made a good start. Not getting a follow-up call when promised is a very common occurrence. Candidates are sometimes sure that they aced the interview and are perfect for the position, in fact they are anticipating a call and an offer. But instead they get “nothing.” No offer; no call. They never hear from the company. This is not only frustrating, but reflects poorly on the company. In fact it is rude. What can you do about this situation? Here are some tips on how to handle the follow up that may save you from some anxiety. Try to find out about the decision-process before you leave the interview. Ask when you could expect to hear back. Take that date and then add a few days before you start to worry. Always send a follow up addressing any concerns you may have picked up or any thoughts you had about the position since the interview. Think of this as one more chance to put yourself in front of them. After you have waited for a reasonable period beyond the date they stated, call and inquire as to the status of the position and whether you are still in the running. As a general rule, don’t call on Mondays – bad day to market anything. If you leave a message inquiring about the status of the job, and no one calls you back after a couple of attempts – move on and forget about it. Don’t call back more than a couple of times. There is a fine line between being persistent and being a pest. If you are told you are no longer under consideration, try asking for feedback (most of the time they won’t give you any, but still worth a try). Ask if there is any additional information that you can supply that will convince them that you are the right person for the job. Don’t rely on one job interview. No matter what was said in the interview – continue your search. There have been too many bad examples of those who thought they were a shoe-in – only to get a reject letter. Don’t take it personally! There are about a thousand reasons that could have affected your chances. Accept the fact that not all companies are right for you. Just like blind dates – they are checking you out and you are checking them out. Sometimes it’s chemistry – and sometimes it wasn’t right for you – for whatever reason. Try not to get discouraged by the rejects. It’s a numbers game and your turn will come if you hang in there. Carole Martin is a thoroughbred interview coach. Celebrated author, trainer, and mentor, Carole can give you interviewing tips like no one else can. Her workbook, “Interview Fitness Training – A Workout With the Interview Coach,” has sold thousands of copies world-wide and she has just released her latest book, “Boost Your Interview IQ.” Knock’em Dead – Get the Job! Sign Up to Receive Free Weekly Interview Tips from Carole Martin, The Interview Coach at www.interviewcoach.com. DIRECTED BY : Shoujirou Nishimi, Guillaume Renard. WRITTEN BY : Guillaume Renard. GENRE : Drama, Science Fiction, Animation, Action, Crime. PRODUCTION BY : Ankama, Studio 4°C. ‘MFKZ’ is a movie genre Drama, was released in May 23, 2018. Shoujirou Nishimi was directed this movie and starring by Kelly Marot. This movie tell story about Angelino is just one of thousands of deadbeats living in Dark Meat City. But an otherwise unremarkable scooter accident caused by a beautiful, mysterious stranger is about to transform his life… into a waking nightmare! He starts seeing monstrous forms prowling around all over the city… Is Angelino losing his mind, or could an alien invasion really be happening this quietly…? 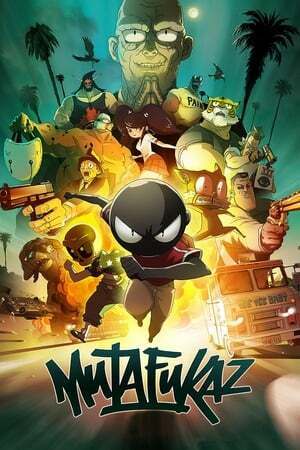 Watch MFKZ 2018 Online 123movie, MFKZ movie streaming, Watch MFKZ 2018 Online Free 123movie, Watch MFKZ 2018 Online Free Viooz, film MFKZ 2018 online streaming, Watch MFKZ 2018 Online Free netflix, live streaming film MFKZ online, watch full MFKZ movie online, Watch MFKZ 2018 Online 123movies, download movie MFKZ 2018, Streaming MFKZ 2018 For Free Online, Watch MFKZ 2018 Online Free megashare, download MFKZ 2018 movie now, MFKZ 2018 live streaming film online, film MFKZ 2018 download, Watch MFKZ 2018 Online Free, Watch MFKZ 2018 Online Free Putlocker, streaming MFKZ 2018 film, Watch MFKZ 2018 Online Viooz, Watch MFKZ 2018 Online Putlocker, trailer film MFKZ, Watch MFKZ 2018 Online Free hulu, watch full MFKZ movie, Streaming MFKZ 2018 Online Free Megashare, Watch MFKZ 2018 Online Megashare, watch full movie MFKZ, MFKZ 2018 movie download, watch full movie MFKZ online, Watch MFKZ 2018 For Free online, MFKZ 2018 Watch Online, watch MFKZ 2018 film now. 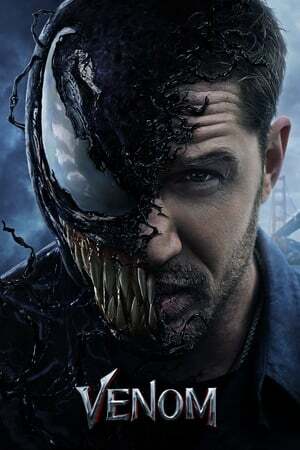 Watch Venom 2018 Online Megashare, streaming Venom 2018, Venom 2018 live streaming film, Watch Venom 2018 Online Free 123movie, Watch Venom 2018 Online Free megashare, Watch Venom 2018 Online Putlocker, live streaming movie Venom 2018 online, Watch Venom 2018 Online Free netflix, watch full film Venom online, Streaming Venom 2018 For Free Online, Venom 2018 movie streaming, download Venom movie, Venom 2018 Watch Online, Watch Venom 2018 Online Free Putlocker, watch full Venom 2018 movie, Venom 2018 movie, watch film Venom 2018 now, Venom 2018 film trailer, Watch Venom 2018 For Free online, Watch Venom 2018 Online Free Viooz, Watch Venom 2018 Online Free, Venom 2018 movie download, film Venom streaming, download full movie Venom 2018, Watch Venom 2018 Online Free hulu, Watch Venom 2018 Online 123movies, movie Venom 2018 trailer, film Venom online, watch movie Venom now, Watch Venom 2018 Online Viooz, Streaming Venom 2018 Online Free Megashare, live streaming film Venom, Watch Venom 2018 Online 123movie, download movie Venom, watch full movie Venom 2018, Venom movie trailer. Order Before Your Next Interview! "I did A LOT of hand shaking this week Carole! You made an incredible difference in my performance and I will be eternally grateful. Thanks from the Professor"